They say you should always write about what you know, and if there was something that writer-director Joseph L Mankiewicz knew a lot about, it was Hollywood. He received 10 Oscar nominations, winning four times for writing and directing A Letter to Three Wives and All About Eve – in consecutive years, no less. 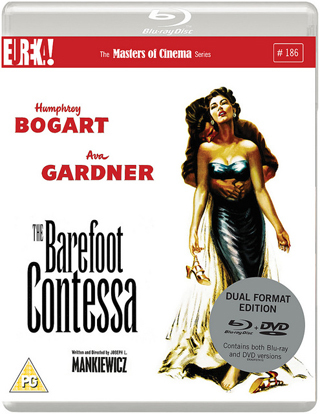 In 1955 he was nominated again for Best Original Screenplay for The Barefoot Contessa, a film that utilised his knowledge of movie-making and its characters to its utmost. Humphrey Bogart heads the cast as Harry Dawes, a recovering alcoholic whose drinking has all but wrecked his Hollywood career. Now desperate for work, he’s hooked up with poor little rich boy Kirk Edwards, who wants to use his family fortune to produce a movie – stoking his own ego in the process. Edwards also wants to find a new star to take the lead role, and he thinks he’s found it in Spanish dancer Maria Vargas. But Maria isn’t like those fame-hungry American girls back home; if she’s going to hit it big, it will be on her own terms. She and Harry become close friends, each helping the other – his work behind the camera brings her fame and fortune, while her on-screen radiance in his movie revives his ailing career. But Maria wants more than just the adoration of cinemagoers – she’s a romantic who is always on the lookout for love. She finds it in the form of an Italian count, but can a free spirit like her ever really live happily ever after? As the tale opens at her funeral, I’m not spoiling anything by stating that she can’t. 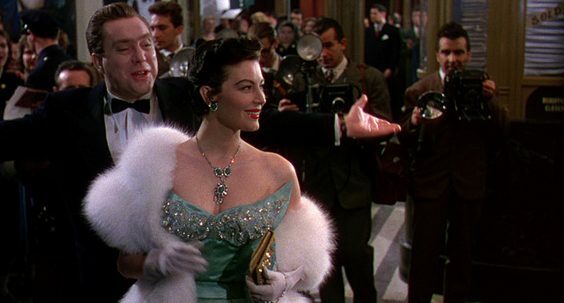 You may also think that Mankiewicz has given away a major plot point by telling us how matters are going to play out, but he’s far too clever for that – it’s not the destination that’s the important thing here, it’s the journey to get there. 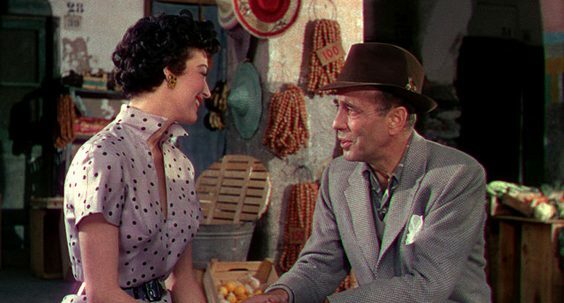 Bogart delivers his customary charismatic performance – he conveys so much while seemingly doing so little – but it’s Ava Gardner who really grabs the attention as Maria. Only a handful of actresses could be believable as a woman so beautiful she could bewitch any man, and she was certainly one of them. Edmond O’Brien, an actor largely forgotten today, won the Best Supporting Actor Oscar for his portrayal of grasping publicity agent Muldoon, while Jack Cardiff’s luminous cinematography looks utterly fantastic in this restored blu-ray edition.